Bringing the wild outdoors into the heart of the city, Sheffield Adventure Film Festival returns to the Showroom Cinema from 22-24 March. The three-day programme includes more than 100 films across five big screens, with many different workshops and talks happening too, all equaling one awesome event. This year the festival’s theme is Adventure Activism so you will also find a whole weekend of experiences that aim to inspire adventurous people to take the next step to a better future. Festival-goers will be brought face-to-face with inspirational adventure activists, be able to watch films which tell stories of powerful environmental action and will have the chance to experience being the change themselves. One ticket will get you in to a multi-film screening so you can see several films in one go. BMC members can claim their 15% discount by purchasing tickets on the phone or in person with the Showroom Box Office (call 0114 2757727) and giving out your membership number. On Saturday evening we will be hosting the 5th Annual BMC TV Women in Adventure film competition hosted by ShAFF judge Claire Carter, Womenclimb founder Emily Pitts and adventure film producer Emma Brennand. There will be a special screening of this year’s shortlisted entries as well as the announcement of the winners. The panel will be discussing the key themes brought up in the showcased films and there will be interviews with the filmmakers themselves. This is a free event but there are limited places available so book fast! Straight after the WAF discussion and screening, the BMC VIP 75th Birthday networking session will follow. This is a fantastic opportunity for those attending the WAF competition and VIPs to mingle before the BMC 75th Birthday Bash. Before we celebrate our 75th anniversary, join us for a free drink (first come, first served!) to celebrate two big things: a massive year for the Mend Our Mountains: Make One Million appeal, and the launch of our brand new campaign, Hills to Oceans (H2O). Join us for our 75th Birthday Bash on Saturday evening! Hold on to your seats as Niall Grimes – climber, storyteller and chief mischief-maker takes us on a wild trip through time to celebrate 75 years of British climbing and mountaineering. Star climbers Emma Twyford and James McHaffie will be there, showing some exclusive sneak peeks of their new films. They’ll be joined by BMC president Lynn Robinson, local personalities including Rab Carrington, and some very special guests still to be confirmed. With epic prizes from the BMC and Montane, this is a night not to miss. After the Bash, party on as the #Smash Weekender After Party gets going. Whatever your adventures during the day, everyone is invited to come together for a festival-themed drink at the free Saturday night Weekender party in the Showroom bar. Party On. You may have seen the #WomenRockWednesdays segment we have going out weekly on our BMC social channels. Well now you will have a chance to see the full exhibition in person. 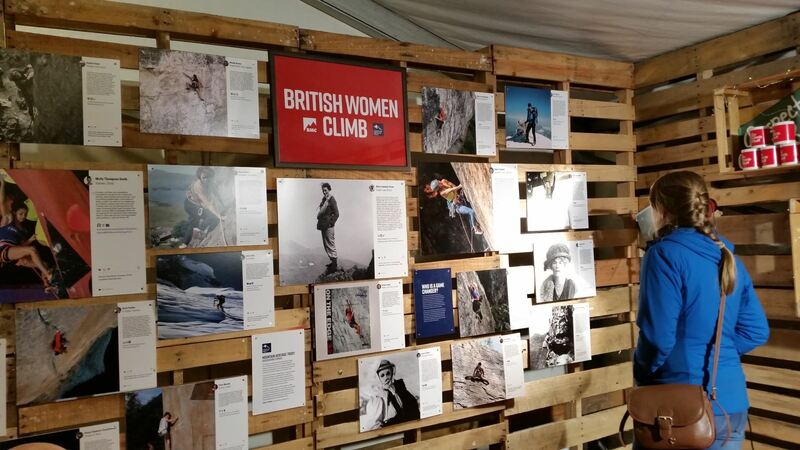 British Women Climb exhibition celebrates those who have been instrumental in paving the way in mountaineering and climbing through the ages. From the likes of Lizzie Le Blond (aka Elizabeth Hawkins) -with her photo of what’s likely the first mountain selfie- all the way up to two-time Boulder World Cup Champion Shauna Coxsey. Walk among the stories of these inspiring female climbers and mountaineers and feel inspired. The exhibition will be up in the Showroom from 19th-29th March, so don’t worry if you can’t make it on the day. As well as inspirational screenings, ShAFF has a whole weekend of experiences lined up which will leave you hungry for your next challenge. From adventure-activism workshops, to getting hands on with the Great Sheffield River Clean-up and hearing advice from the experts on everything from fell running to bikepacking and gear repair. There will be free family-friendly activities including having a go at a range of activities such as plogging, craftivism, climbing, slacklining and caving. 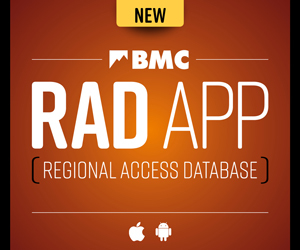 In the meantime, check out the latest films on BMC TV as you wait for ShAFF to start!